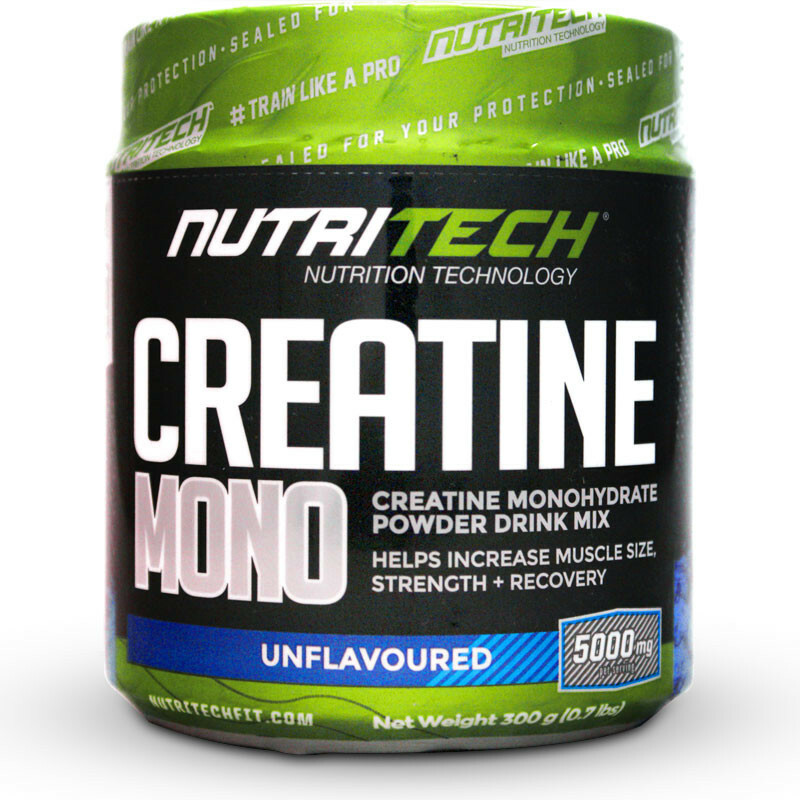 Nutritech Creatine Mono is ultra pure micronized creatine monohydrate to build muscle mass and boost training performance. Athletes and lifters have been using creatine for the last 20 years to increase lean muscle mass. Being effective and cheap it is considered as the true original muscle builder. Creatine is naturally found in meats, eggs, fish and is possibly the most researched supplement on the market. Studies exploring the benefits of using creatine range from power output, weight, lean mass, exercise fatigue and many more. Being able to train with heavier weights stimulates more muscle fibres to increase lean muscle. Most studies have confirmed the increases in power and strength. ATP is your body’s ‘fuel system’. Creatine helps replenish ATP levels quicker which boosts workout performance by reducing fatigue and improving endurance. The manufactures have used a micronized form of creatine which dissolves in liquid. This improves absorbability and reduces waste. Nutritech Creatine Mono is the original sports performance booster giving you lots of servings at a cheap price. • Mix 1 flat scoop with water or beverage of choice in a shaker. • Take 2 to 3 servings per day, evenly spaced, on an empty stomach. • After 5 weeks of continued use take 1 week off and start cycle again. • Take 20 grams per day. • Take 10 – 15 grams per day.